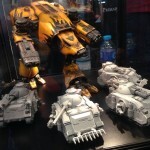 The jury has given their verdict on ChapterHouse’s use of alleged Games Workshop trademarks. Belloflostsouls.net have posted the following information. 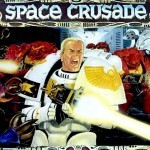 ChapterHouse Studios won on two thrids of the claims, including using the shape and size of GamesWorkshop shoulder pads. 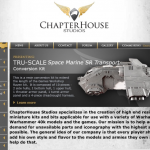 ChapterHouse Studios won all 9 claims, including either no infringement, or fair use of the GamesWorkshop trademarks on ChapterHouse Studios website. These products will have to be withdrawn from sale. While it may appear that ChapterHouse Studios have won on the majority of claims, there has been no ruling on who is picking up the legal costs. If both sides pick up their own cost GW will walk away with a much bigger bill then CHS as Chapter Houses’ representation was working pro bono. If CHS have to pick up GW costs it hard to see how ChapterHouse will be able to keep operating. The winner from this case is the hobbiest. 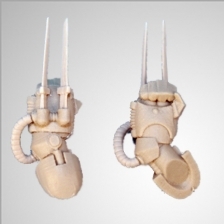 It is now possible for third parties in America to manufacture kits compatible with the Warhammer universe. However if CHS have to pick up the legal bill it’s unlikely anyone would choose to. Full details on where the court has drawn the line won’t been known until more details of the trail have been released. Those that wish to buy any of the products under dispute may have now missed their opportunity. The final judgement will probably come next week.